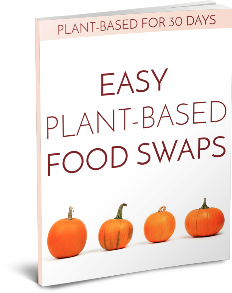 If you have been following a vegan or plant-based diet for a while, you might be getting used to grabbing convenience and packaged foods, or getting your vegan meals from the freezer section in your local Whole Foods. While this is fine just to be vegan, there may come a point when you want to increase your health a bit. This is when you can think about doing a whole food vegan diet. The majority of your foods will be fresh and whole, without any processing or preservatives. This is definitely one of the easiest ways to stick to a whole food vegan diet. You should become familiar with where all the healthiest, unprocessed foods and ingredients are. On a vegan diet, this is primarily going to be your produce section. A lot of your diet consists of fruits and veggies, so the bulk of your shopping is done here. You can also get organic nuts, seeds, and grains typically in the same area, only going to the middle aisles for some staples. You may need chia seeds or olive oil for your dressing, but for the most part, avoid all the processed food aisles. One area where people go wrong with a whole foods vegan diet is assuming regular fruit and veggies is all they can eat. While this does make up a good portion of your diet, you won’t get adequate calories and nutrition on those alone. Even while doing a whole foods version of the plant-based diet, you still need some starches to go with it. This is when you can get some vegan pasta noodles, make your own enchiladas, or use chickpeas to make hummus for a veggie wrap. Make sure everything you used is natural and not processed, and you’re good. Many people on a vegan diet will get curious about a raw diet. This is great for your health, but it is a major commitment. Before you try to do something so extreme, just stick to a standard whole food vegan diet first. This means enjoying your cooked foods from heating up zucchini noodles as pasta to cooking beans, legumes, and rice. You can then decide later on if you’re interested in attempting to do your vegan diet completely raw without any cooking.